American manufacturing growth is coming close to a stop. One key metric for U.S. manufacturing -- the ISM manufacturing index -- fell for the third straight month to 50.2. That's the lowest mark since May 2013 and even below economists' expectations. So manufacturing did grow, but barely. And a reading below 50 means the sector shrank. A year ago the index was close to 58. "Manufacturing has essentially stalled," says Jim O'Sullivan, chief U.S. economist at High Frequency Economics, a research firm. "Manufacturing is much more exposed than non-manufacturing to weakness in foreign demand." Serious headwinds have hit U.S. manufacturing. The strong dollar and slow global growth are the key factors hurting manufacturers, such as car makers, who sell products overseas. A strong dollar puts more local currency in the pockets of Americans traveling overseas. But it makes American products more expensive, and less attractive to foreign buyers. Add on a weak global economy, driven by China's slowdown, and U.S. manufacturing has major road blocks ahead. Some economists say the index could dip below 50 before it can recover. "Things might well get even worse before they begin to get better," says Paul Ashworth, senior U.S. economist at Capital Economics. Such negative signals from the economy are just another challenge for the Federal Reserve, which is in the midst of taking a historic decision to raise interest rates for the first time in almost a decade. The good news is construction spending -- another sign of economic activity and business confidence -- rose on a monthly basis in August. 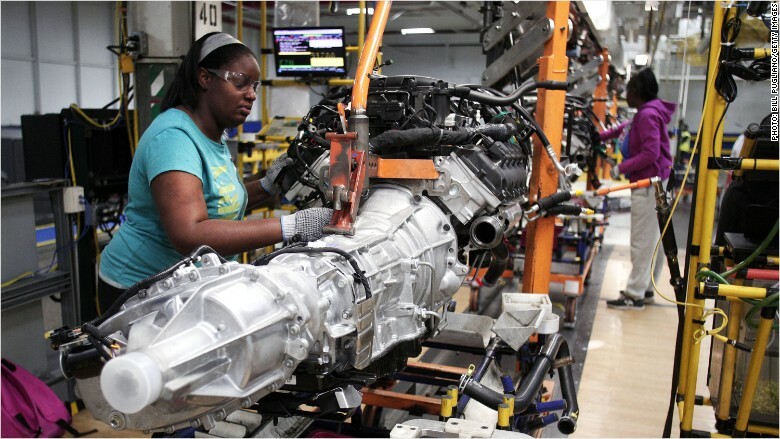 Some economists say that could offset some of the negative impact from declines in manufacturing activity. But disappointing economic data like the manufacturing index could give the Fed pause. "This sector of the economy is no longer growing," says Peter Boockver, chief market analyst for the Lindsey Group.